Menthol, Oils of Peppermint, Cajeput and Eucalyptol. It is fabulous to use to heal colds and to relieve allergies and swollen sinuses. I also use it at night to relieve minor coughs. 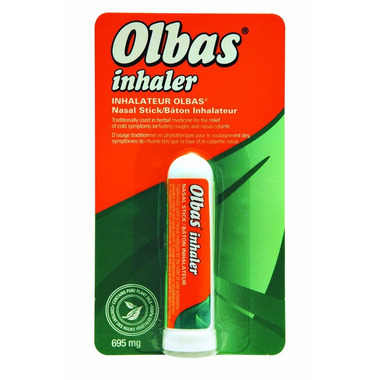 If you have not used the Olbas inhaler i recommend using it. My family finds that it works the best to clear the sinuses to help you breathe clear.